The idea that life is a cosmic, rather than a purely terrestrial phenomenon, has progressed from scientific heresy to mainstream science within the short timespan of a few decades. The theory of cometary panspermia developed by Fred Hoyle and the present author in the 1970's has been vindicated by a spate of new discoveries in astronomy and biology, and also with startling new evidence of microbial fossils in meteorites and micrometeorites. The recent Kepler Telescope searches for exoplanets have indicated the presence of over 100 billion habitable planets separated by only a few light years, thus making panspermia and the transfer of microbial life between such planets an inevitable fact. 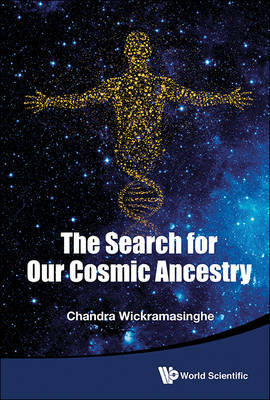 The book presents a comprehensive and up-to-date account of the Hoyle-Wickramasinghe theory of cometary panspermia in a manner accessible to a wide general readership.